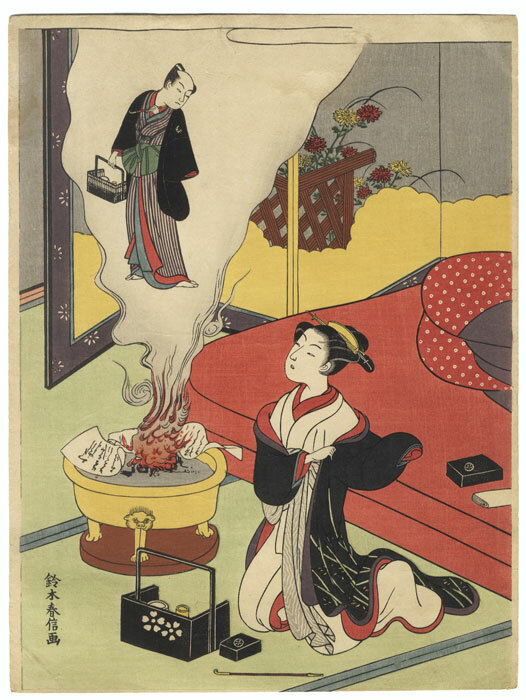 Comments - Interesting design of a beauty burning love letters, the smoke conjuring up an image of her former lover. 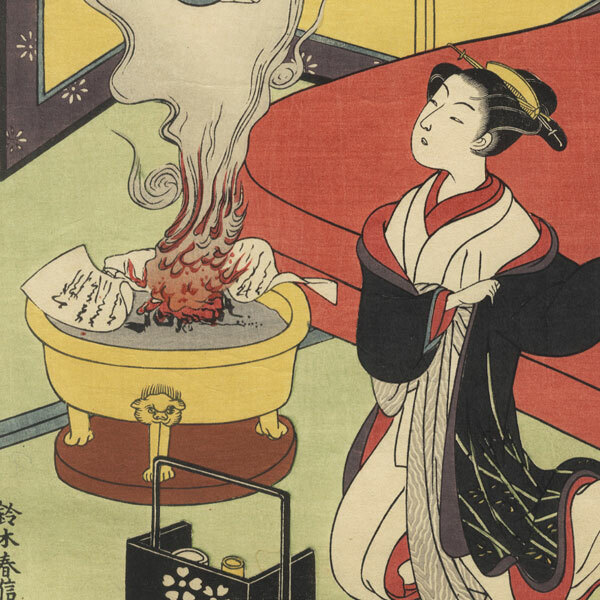 She kneels next to a brazier, pulling on the sleeve of her outer kimono as she watches the figure appear above the roaring flames. 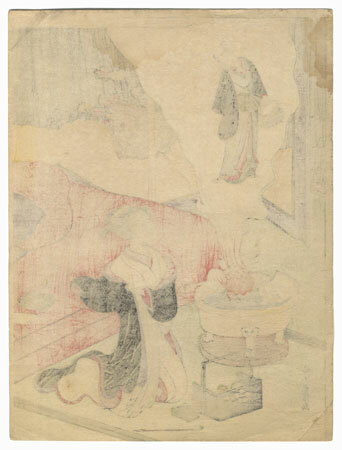 A tobacco set rests on the floor nearby, with a bed and folding screen behind. An intriguing image, beautifully colored and detailed. Image Size - 10 1/4" x 7 7/8"
Condition - This print with excellent color and detail as shown. A minor stain in top left corner. Please see photos for details. Good overall.